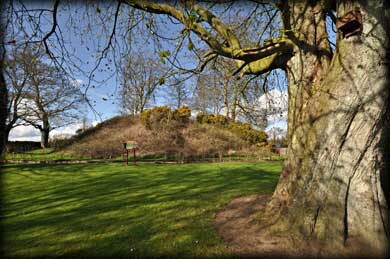 The Motte at Tallanstown is one of around 500 surviving mottes in Ireland. Not surprisingly more than half of these were built in Leinster, where Norman settlement was strongest. 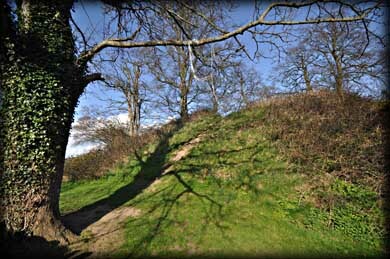 The Mottes were built during the initial campaign of the Norman invasion as they could be quickly constructed and needed a small force to defend them. 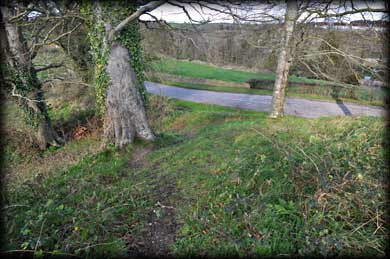 The area around the motte has been turned into a local park, with the motte a feature at the northern end. There are several other Mottes around this area including one at Louth and Inishkeen. Situated: From Ardee head north on the R171 to Tallanstown. As you enter the village take the first left. 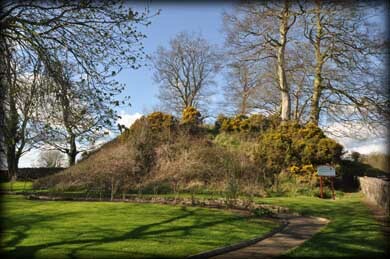 The Motte is situated at the end of Macguire's Park. Discovery Map 36: N 9525 9781. Last visit March 2012.